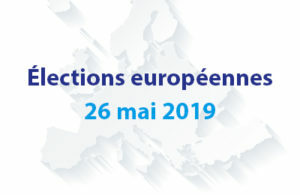 Founded on the 13 August 1987, the Maison de l’Europe is an independent not-for-profit organisation offering services and activities centred on Europe and the European Union. Participation, information and exposure are at the heart of our mission and we aim to facilitate European activities which are accessible to all. Our membership includes individuals, municipalities, educational institutions, NGOs, and companies which share an interest in Europe. In 2007, we joined the Europe Direct network and stock a wide variety of documents and resources on the EU in our office. In May 2012, the Maison de l’Europe received the “Jeunesse et Education populaire” accreditation from the Ministry of Education, Higher Education and Research. This enables us to offer placements to young people as part of the European Voluntary Service programme. In 2014, the Maison de l’Europe was recognised of general interest to society. The organization received the hosting, sending and coordinating accreditation for European volunteering service in the frame of Erasmus + program until March 2018. In recent years, we have diversified our services and events to include European cafés, film screenings, exhibitions and European festivals. This has ensured that we are ever-present in the community, increasing awareness and understanding of the European Union. To ensure that this continues, we need your support! You can also join as a benefactor. A big thank you from all the team at the Maison de l’Europe.